Caleb’s incredibly unique combination of skills as a producer, educator, author, and performer have marked him as a rising star in the music industry. Caleb’s impact is already being felt at the global level and his bands comprised of musicians ages 12-18 are regarded as some of the finest in the world. Utah Governor Gary Herbert presented Caleb with the prestigious 2013 “Governor’s Performing Artist Award”, given to one artist annually for significant contributions to art in Utah. Subsequently, he was appointed to the Utah Arts Council Board of Directors and unanimously ratified to the position by the Utah Senate. In 2011, Caleb was named the “John LaPorta International Jazz Educator of the Year”, one of the highest honors in music education. Additionally, Caleb has been named Utah’s “Best Educator” (2011) and “Best Music Educator” (2012, 2014) by Utah Best of State. Caleb was a national semi-finalist for both the 2015 and 2016 “GRAMMY Music Educator Award”, and in 2015 he received the “Achievement in Jazz Education Award” from DownBeat Magazine. Starting in July of 2016, he will serve as the next President of the Jazz Education Network, the world’s leading organization for jazz advocacy and education. Caleb’s book, “The Articulate Jazz Musician”, written with Dave Matthews Band saxophonist and multi-GRAMMY winner, Jeff Coffin, was released by Alfred Publishing in 2013. The book has sold in excess of 10,000 copies and was named “Best Classroom Tool for Jazz” at the 2016 NAMM Show. In addition to directing various Jazz All State Ensembles, Caleb was invited to direct the prestigious Bands of America “Jazz Band of America” in 2014. 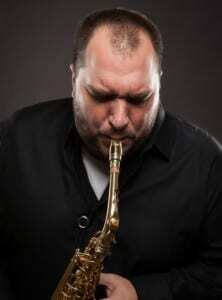 Caleb is a featured Performing Artist and Clinician for Yamaha Saxophones, D’Addario Reeds, and JodyJazz Mouthpieces.